Learn how to create a new page in your WordPress site or blog with this detailed step-by-step tutorial. WordPress introduced a new content editor in version 5.0 called Gutenberg. 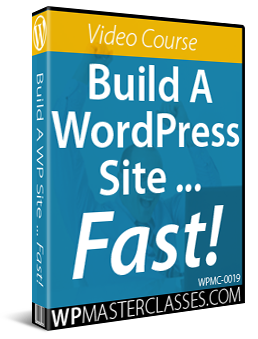 In this tutorial you are going to learn how to create a WordPress Page. Note: If you are not clear about the differences between using Posts and Pages in WordPress, see this tutorial. 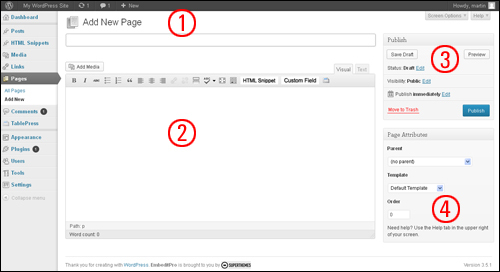 Complete the step-by-step tutorial below to learn more about creating pages in WordPress. What Types Of Content Can You Add To A WordPress Page? 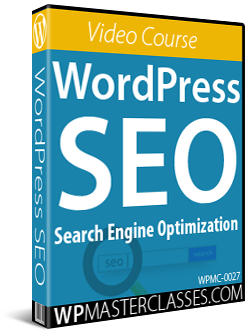 You can add or embed media content into WordPress such as videos, audio files, downloadable files (e.g. PDF documents), images (photos, logos, graphics, banners, etc) and more. 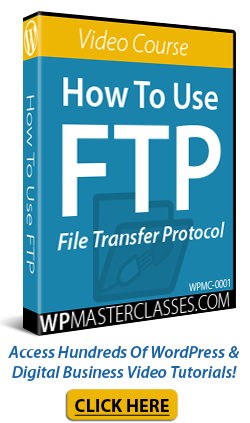 Content can also be added to Pages by inserting code directly into the file templates. 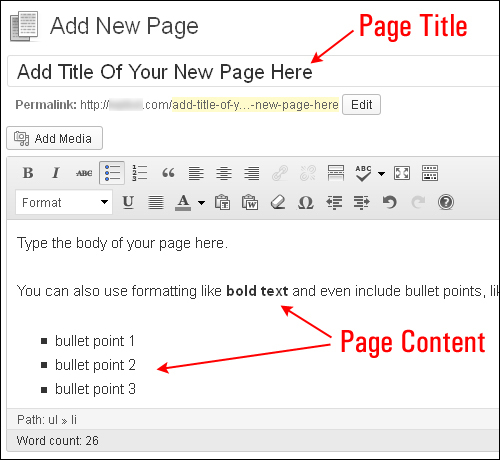 Add your Page Title and begin typing (or paste) your Page Content into the content editor. You can use phrases, words and characters for your Page title. You can use common symbols like commas, apostrophes, quotes and hyphens in your Page title. Your Page title will display these symbols, but WordPress will automatically remove them in the “page slug” to create a valid, user-friendly URL for your page. For the types of content you can add into your Page, see the “Types Of Content You Can Add To WordPress Pages” section above. 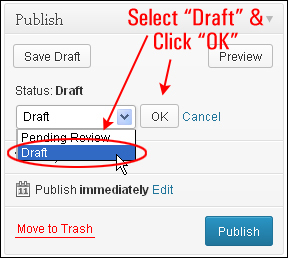 The available Page Statuses are: “Published”, “Pending Review”, and “Draft”. 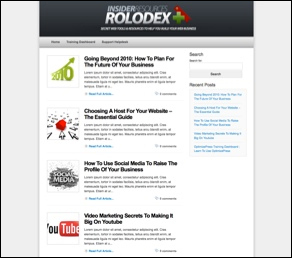 A “Published” page is publicly available to online visitors on your site. 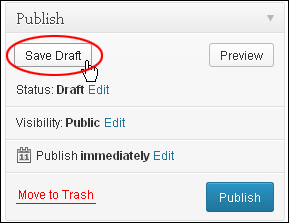 A Page whose status is set to “Draft” is not published and can only be seen by you. 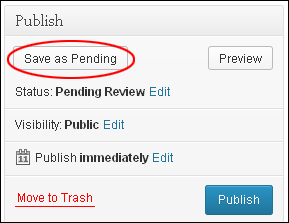 “Pending Review” is similar to a “Draft” Page, but needs to be reviewed and approved for publication by a user with “Editor” permissions. The Publish section also includes a Preview button that allows you to view your page content before publishing it and making your page live on your site. 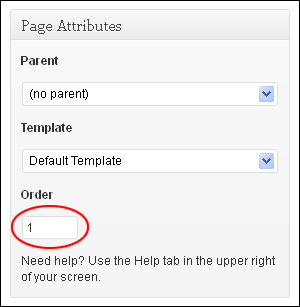 You can specify a number of visibility settings for your pages. Setting a page to “Public” makes it visible to all website visitors after it has been published. You can also make a page “Password Protected” (this makes the content in your page accessible to anyone with the correct password), or “Private”, which makes the page visible only to you and to other users logged into your site who have editor or administrative privileges. 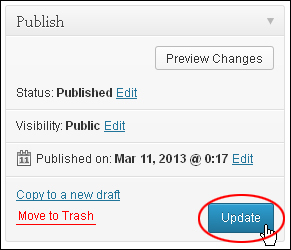 Additional settings in the Publish Box section allow you to change publication dates (even schedule pages to be published at a later date), copy your page to a new draft, or set your page for deletion by moving it to the trash. 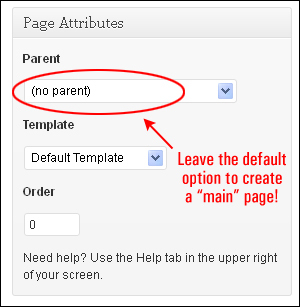 Use this option if you want your page to be nested within a page hierarchy. 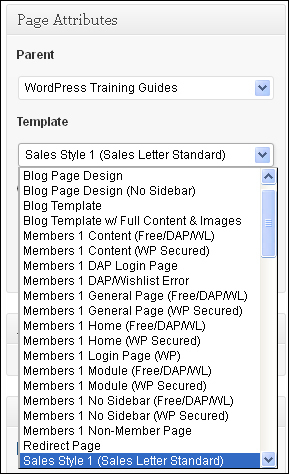 Templates allow you to create pages with additional features or custom layouts. This allows you to specify a different layout for each page you create (for example, you may want your “contact page” to have a different layout than your “product” pages, or set up a different look for your blog posts, squeeze pages, membership pages, etc.). Depending on the WordPress theme you have chosen for your site, a number of different templates may be available for you to choose in this section. Templates can also be customized and modified by editing the template code. 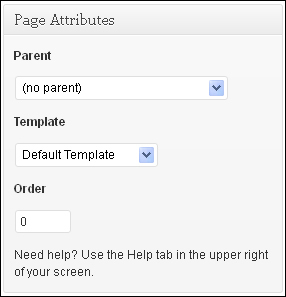 Use the Order field of the Page Attributes module to change the order that your pages are displayed. For example, let’s say you have three pages: About Us, Contact Us and Special Deals. 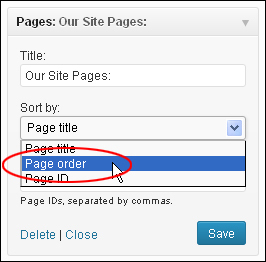 Repeat the process for your other pages, using higher numbers for the Order field (e.g. “2”, “3”, “4” etc.) This tells WordPress to display these pages second, third, fourth, etc on your site. 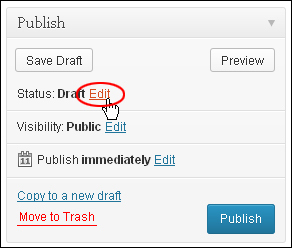 Tip #1 – You can change the order of pages using the Quick Edit feature of WordPress. 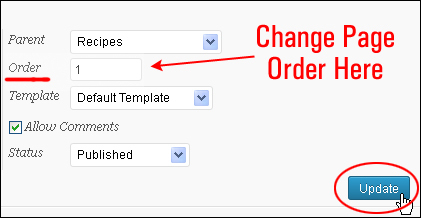 Tip #3 – You can also use a plugin to make rearranging the order of your pages easier. This is useful if you have a lot of pages on your site, nested page sections, or if you regularly add new pages to your site. Using Featured Images In WordPress is covered in detail in a separate tutorial. 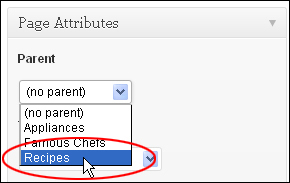 Custom Fields are normally used in conjunction with WordPress plugins, but you can manually edit the information added by plugins to your page in this section. 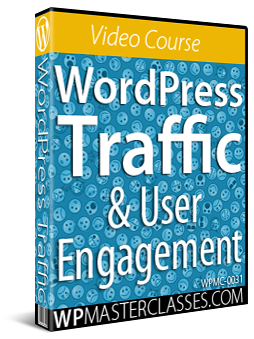 This module is used to enable interactivity and notifications on your pages on a page-by-page basis. 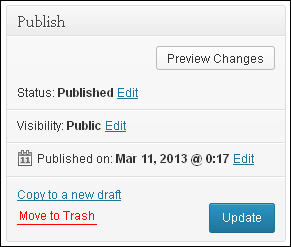 You can check boxes to Allow Comments and Allow trackbacks and pingbacks on your pages. 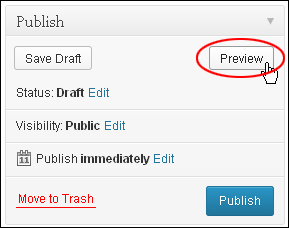 If you uncheck Allow Comments, then no visitors will be able to post comments on that specific page. If you uncheck Allow trackbacks and pingbacks, then no one will be able to post pingbacks or trackbacks to that specific page. Note: If you are editing a previously published page, the Discussion module will also show any comments that have been added to the page. 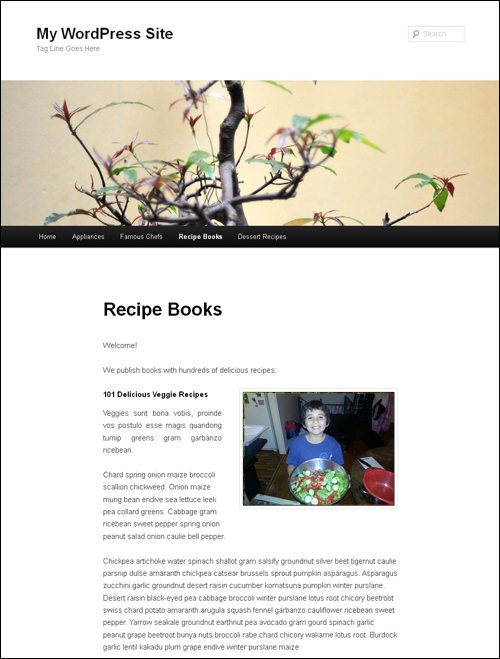 The page slug is also affected by the Permalink feature (see below). Permalink stands for “permanent link“. When you set a Permalink for your page, WordPress will find your page and change all links on your site to point to the correct page URL even if you change the page slug or move your page to display under a different parent page. The permalink is automatically generated based on the title you specify for your page and is shown below the title field as soon as you save or publish your page. Punctuation such as commas, quotes, apostrophes, and invalid URL characters are removed and spaces are substituted with dashes to separate each word in your permalink. Your page-slug will now be updated. After creating a new page, the next step is to add content to it. Practice Accessibility: Stay compliant with web standards for accessibility and help your users by including ALT and TITLE descriptions on links and images (e.g. <a title=”Descriptive Title Goes Here” href=”http://yourdomain.com/”>Hyperlinked Text</a>. Use Paragraphs: Make your content more readable by breaking up your writing into paragraphs. Tip: If you use double spaces between your paragraphs, WordPress will automatically detect these and insert <p> HTML paragraph tags into your writing. Use Headings: If you plan to write a long page, then use headings to break up your page sections. In HTML, headings are set using tags like h1, h2, h3, h4, and so on. You can also add headings by highlighting content in the body of your page, and then selecting one of the heading options from the “Format Style” drop-down menu in your Visual Editor. Use HTML: You don’t have to use HTML to create richly formatted page, as WordPress will automatically do this if you use the Visual Editor. Having some basic knowledge of HTML, however, will allow you to control different styling elements in your content (e.g. boxes and headings). Spell Check and Proof: Check your spelling and proof everything before publishing your content. There are a number of spell check Plugins available for WordPress. 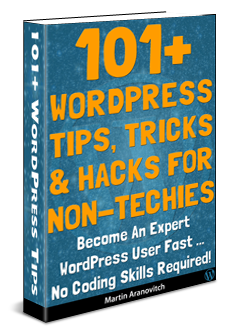 You can also write your content in a text editor that has spell checking, then copy and paste your content into WordPress after checking all the spelling and proofing your content thoroughly. Think before you post: Everything you make public can be seen by many people and logged by search engines, making it harder to take things back. Take a moment to think about what you are writing and review your pages before publishing. Don’t rant … think! Consider your readers: Consider who will read your content and take any appropriate measures and precautions you think may be necessary when writing your content or protecting your privacy. Make use of comments: Comments allow your site visitors to interact with you and share their ideas. You have control over your site’s comments and you can delete any comments that you don’t want published on your site, so consider this fact when deciding whether to allow people to comment on your site. Also, make sure that visitors can contact you privately if they need to (e.g. use a contact form). Worry about the design later: How your site looks is important, but it’s not essential to getting your point across. 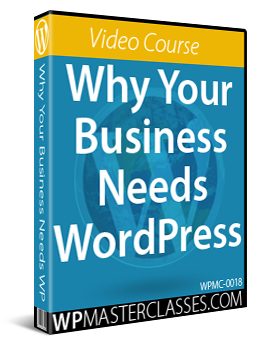 In fact, because WordPress is so flexible when it comes to web design, you can just start writing to grow a readership, and then change your entire site’s look with just a few clicks of the mouse anytime you want, using “WordPress Themes”. Remember that content is what attracts your readers, not just the look of your site. Use pictures and videos: Images and videos help make your posts and pages colorful and interesting and help readers engage better with your content. 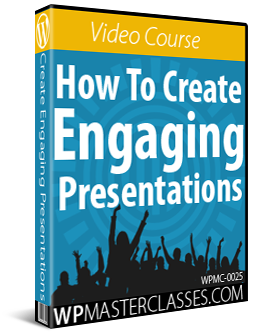 See our tutorials on adding images and adding videos to your posts and pages for more details. Save your pages: Save your pages regularly to prevent losing your work to accidents or computer errors. 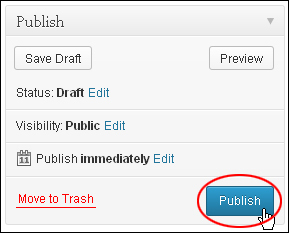 You can do this without publishing your content as the section below will explain. 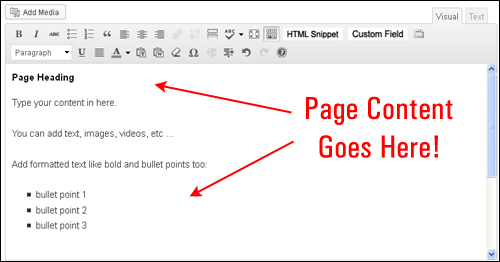 After adding content to your Page, it’s time to save the page. This helps to prevent losing your content if something unexpectedly goes wrong with your computer, or if you click something that accidentally closes your page, browser window or application while you’re working. 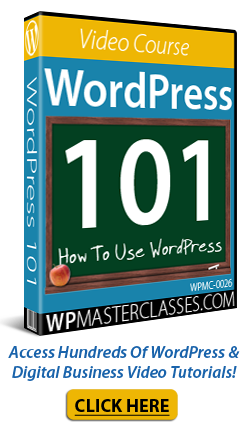 Originally published as How To Create A WordPress Page.